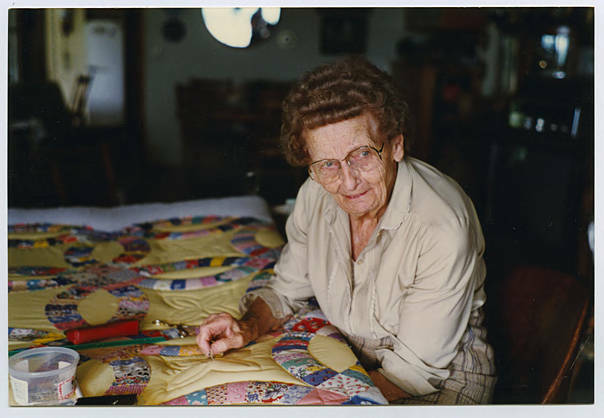 Henrietta Jesse working on a quilt which was started in the 1940s by the Tenmile Ladies Club (Tenmile is in Douglas County, Oregon). 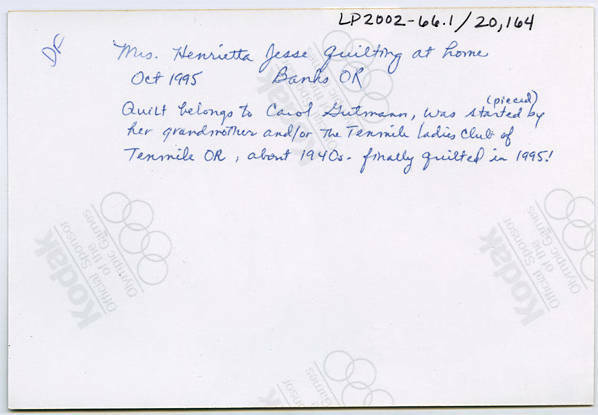 [back] Mrs. Henrietta Jesse quilting at home; Oct 1995 Banks OR; Quilt belongs to Carol Gutmann, was started (pieced) by her grandmother and/or The Tenmile Ladies Club of Tenmile, OR, about 1940s. finally quilted in 1995!